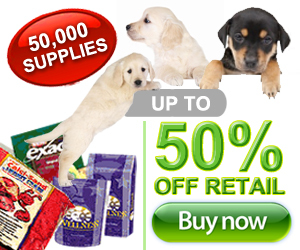 Is there anything that you can do for your dog and allergies? The answer is a resounding yes but there are several things you must do as well as understand. How to treat these allergies with conventional as well as natural remedies. The first step in helping your dog with this very challenging condition is to fully understand the symptoms that will signal that your dog indeed has allergies. Dogs by their nature will scratch several parts of their body several times a day. However, if it becomes chronic it is referred to as pruritus. 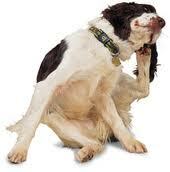 In most cases, this scratching becomes chronic itching and it will have one major focus of attack; your dog’s skin. It is extremely important for owners to understand that dogs are animals and they will not show the same type of symptoms as we do. If we have an allergy that is airborne, our nose begins to run. If we eat something we are allergic to, we may get sick and vomit. If we touch something like poison ivy or get stung by an insect, the area of impact is where the symptoms will surface. However, with your dog and allergies none of this will occur. Instead, once it really begins to take hold it will attack their body or ears. The first symptom your will see is your dog rubbing their face on the grass or your carpet, as well as chewing at their feet. This chewing will start slowly but can escalate very rapidly. The next set of symptoms with your dog and allergies will be a sudden development of ear infections, hair loss, as well as severe scratching and itching. If your dog’s itch threshold is crossed, they may actually begin to mutilate their own skin. The next step in understanding your dog and allergies is the potential causes. In this case, your dog’s body is similar in some ways to ours. Once an allergen has caused a reaction in their body, it will release a protein substance referred to Ige. This substance will gradually attach itself to their immune systems mast cells and begin to release several chemicals. The best known of these chemicals is histamine which will immediately begin to attack the root cause of the allergies. The list of potential allergens can be quite extensive and will start with the most obvious threat; fleas. However, what most owners do not realize is that fleas are not the biggest threat to your dog. The biggest thereat may be the dust in your house and the dangers that lie in it; dust mites. Mold is also a potential threat as is rubber and certain plastics. If you are using a feeding bowl made of either substance, you are most likely causing the problem. Next on the list of your dog and allergies is the world outside of your home that they live in. This includes trees, grass and weed pollen's. Milk products may also be the underlying cause as well as certain foods. Trying to identify food allergies in dogs is one of the most difficult tasks an owner can undertake, but it can be done. Food coloring's as well as certain additives can also trigger this condition, which is the main reason you should stick to a well-known brand of dog food. The next step in understanding your dog and allergies is how to control them. However, before an owner can successfully control them, you will need to understand the time frame. In the vast majority of cases, they will not surface for several months. In some cases, it may take years before they surface in your dog. This is very hard to comprehend as human allergies seem to attack very rapidly. The main reason for this is that your dog’s immune system has to identify the intrusion and then react to it. Just like certain diseases and conditions are considered to be heredity in humans, allergies are not much different. In fact, this condition can actually be passed from generations in certain small breeds, such as terriers. However, there are larger breeds such as Setters, Dalmatians, and Retrievers that are also much more prone to this condition. 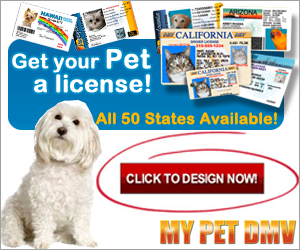 In these cases the key to your dog and allergies is avoidance to the known potential causes. Although this may not totally eradicate them, it is a beginning. When you vacuum your home, keep your dog out of the room-period. As most owners can attest to, when you begin to vacuum, your dog will run. Maybe it is not the noise they are running, but rather the invasion of dust that is attacking them. If you have very old and stuffed furniture, you should not allow your dog to sleep on them. Mold is also a major concern. Because of this, you should not allow your dog in your basement and you should avoid having a lot of houseplants. What most owners do not realize is that houseplants are hot beds for silent mold. You should also keep your dog out of woods with a lot of weeds or wildflowers, and wash their feet after periods of high pollen counts. They will by nature lick their feet first as they come back indoors, and if not washed, it will attack them internally. The final phase in dogs and allergies is how to treat them. The first step is not topical or treating their skin, it should be building their immune system. As their immune system reacts to these attacks you can help it with Omega 3 fatty acids. These acids will help reduce the amount of histamine that their system releases as well as some of the adverse effects. 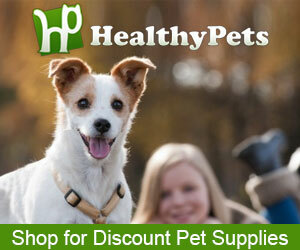 However, there is a small percent of dogs that Omega 3 fatty acids will not help. It is also important to note that while Omega 6 fatty acids can help dogs with several other conditions, with this one it can make it worse. If this natural treatment does dog help your dog and allergies, there are some others that you can try. They will include topical therapy, but in most cases this is only a short term remedy. Antihistamines can also be used but only under direct guidance of your veterinarian as they could do more harm than good if not used properly. Steroids may also be used, but only as a last resort as they can have some devastating side effects. The two most important factors is how effective and safe they are. Unlike other allergies and diseases, has no real common denominator among species or gender. There are two different forms that can attack your dog, Urticaria or Angioedema, and both can be very dangerous. Finding the exact cause can be extremely difficult as there are several allergens that may be the culprit.